Find competitive quotes on outdoor advertising in Boulder! 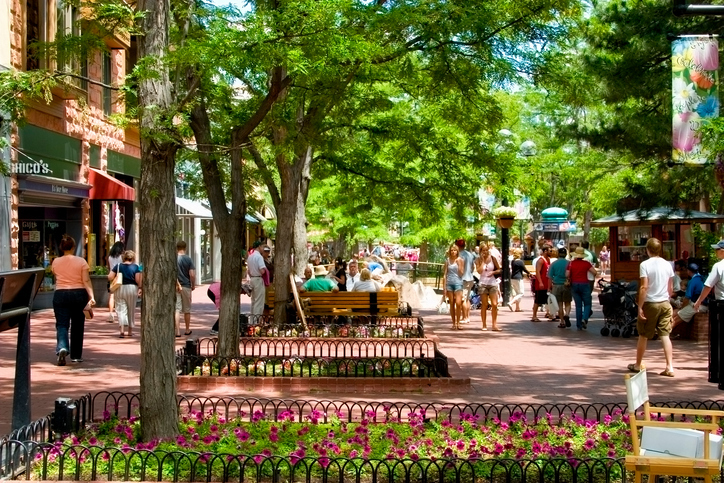 Known for its scenic sites, Boulder is a fantastic location for your next outdoor advertising campaign. Home to the Colorado Chautauqua and Flagstaff Mountain, Boulder offers an array of prime opportunities to jump-start your business. With the trendy Twenty Ninth Street and Pearl Street Mall near SR 7, you can be confident that your campaign will effectively reach your target market. Make an impression by targeting over 33,000 students near the University of Colorado Boulder with an eye-catching billboard. Or, take your campaign citywide with transit advertising. Whether you’re looking for premium ad space near the Boulder Theater or impressive Boulder Museum of Contemporary Art, BillboardsIn will help you create your perfect campaign by providing a personalized selection of options for you to choose from. Get started by clicking an ad type below to find out more. Or, begin by exploring BillboardsIn’s comprehensive database of out-of-home options to kickstart your campaign in Boulder.